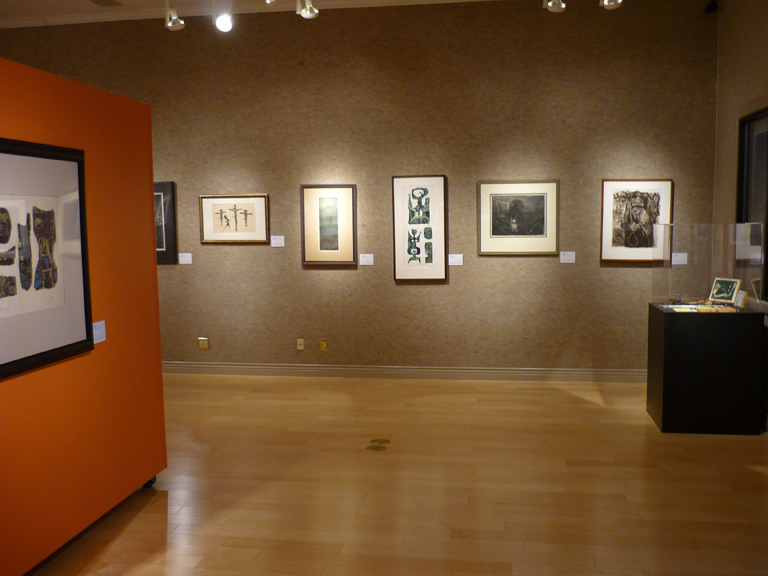 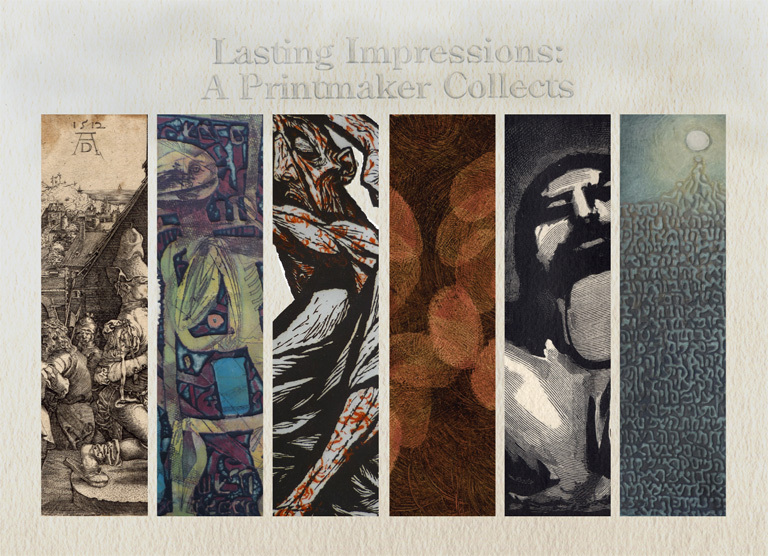 This page contains information about the exhibition Lasting Impressions: A Printmaker Collects. 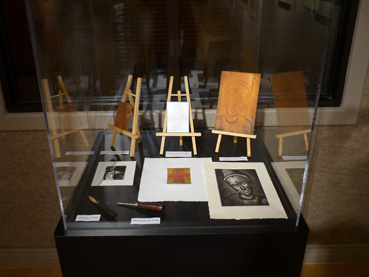 Unlike the other exhibitions featured on this site, of Tyrus' artwork, this exhibition is composed of prints from Mr. Clutter's personal art collection. 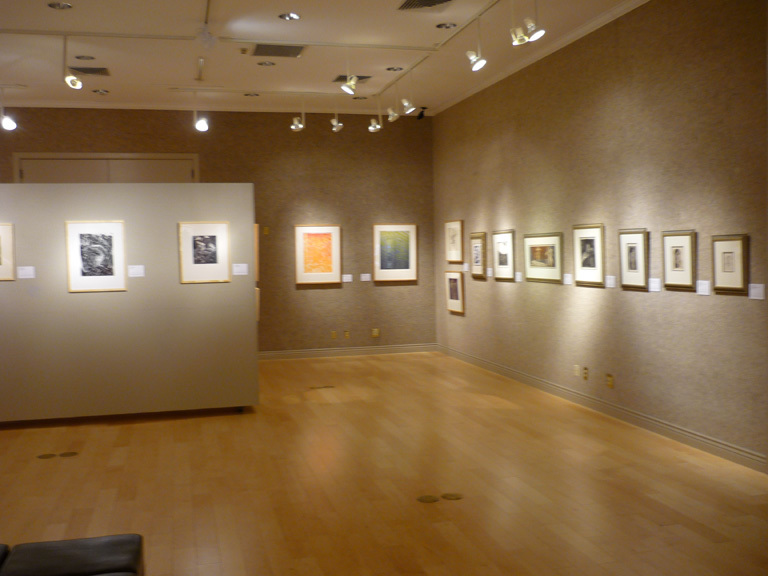 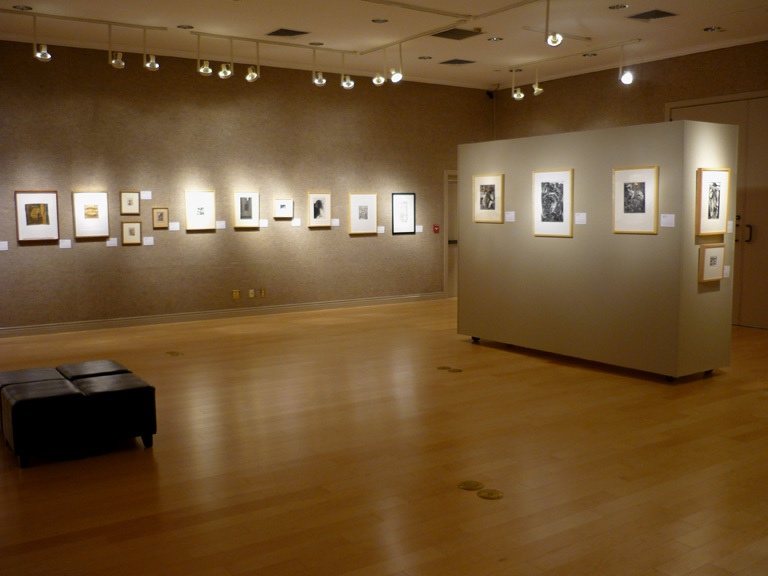 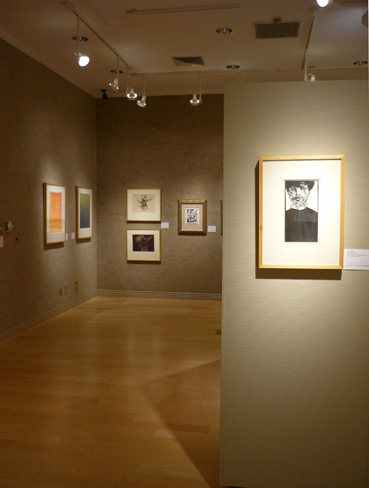 The initial venue of the show is the Webber Center Gallery on the campus of the College of Central Florida. 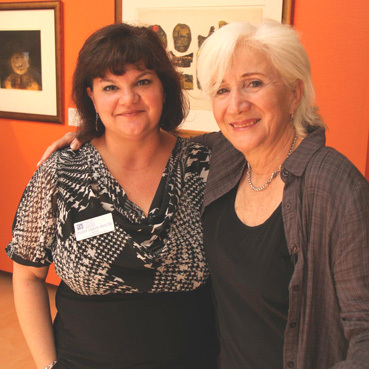 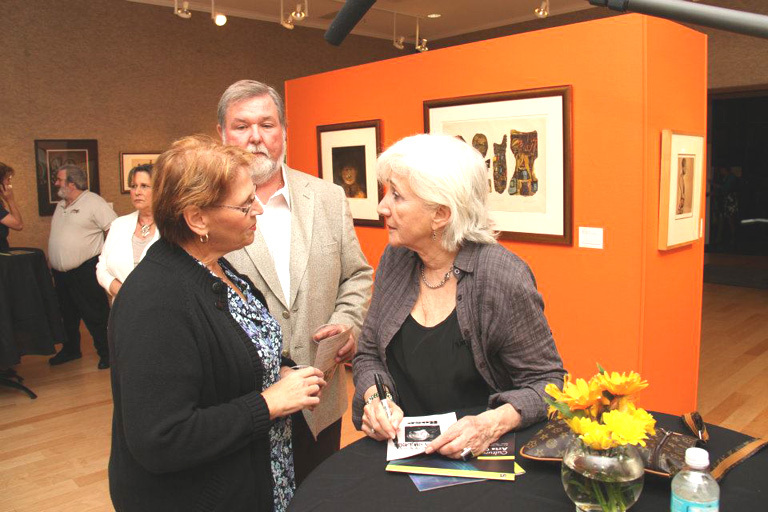 Included here are installation views of the show, as well as a couple images from the night that the gallery was used as a reception area for actress Olympia Dukakis, following her performance of Rose in the campus theater. 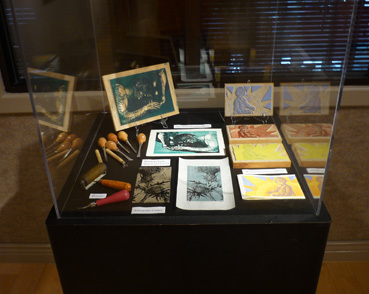 The image to the right is from the postcard for the show. 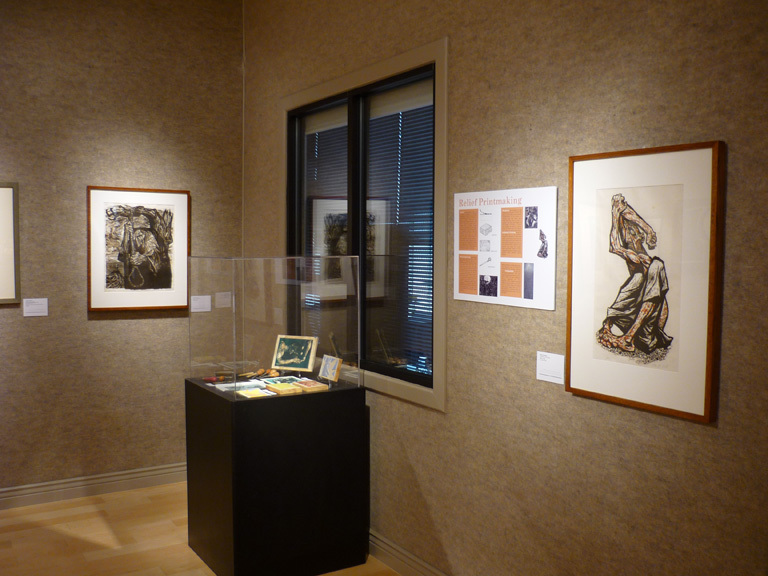 Directly below, are links to two pdf files. 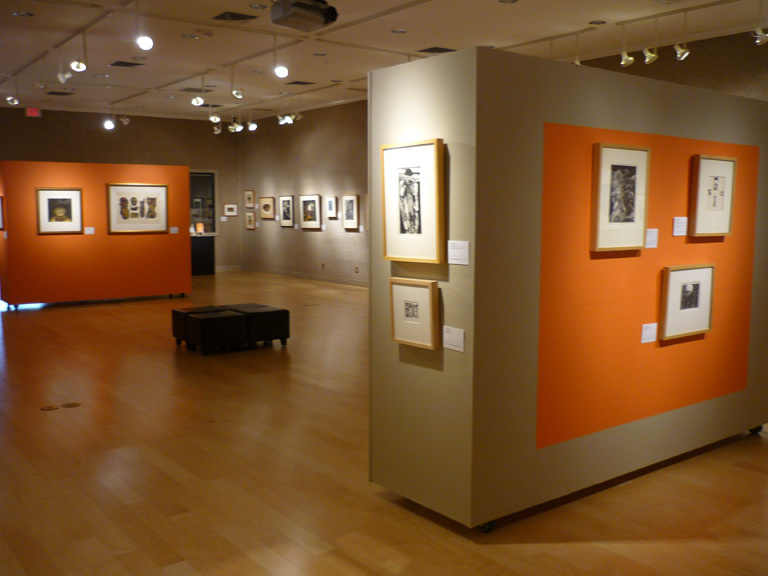 The first contains the essays from the exhibition catalogue, with some insights into the focus of the collection and background on some of the artists. 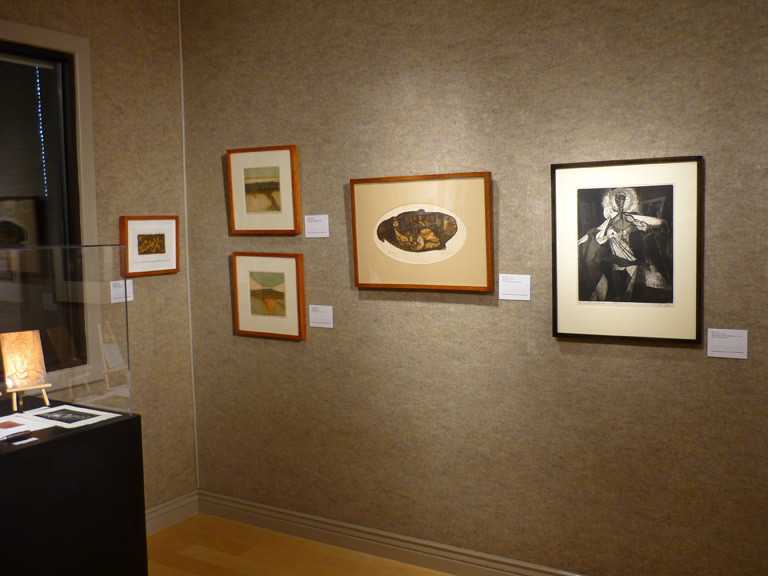 The second link contains a full list of artists and works in the exhibition, along with thumbnail images of each work.